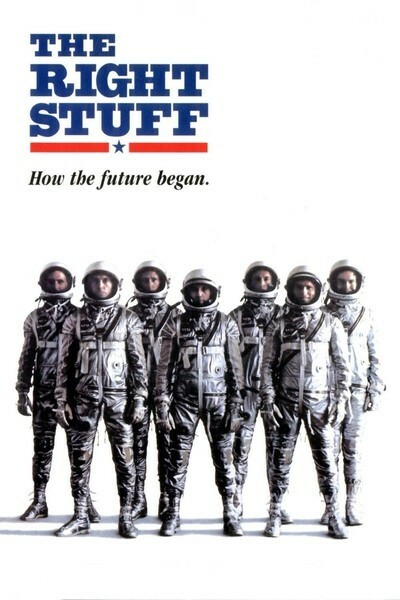 Image of The Right Stuff movie poster courtesy of RogerEbert.com. The quote, “no bucks…no Buck Rogers” comes from the movie and book, The Right Stuff by Tom Wolfe. As a kid I watched this movie relentlessly as I dreamed of becoming a pilot. I never realized just how true and applicable this quote was to become. While flying helicopters over “LA” or Lower Alabama, I was worried about applying my emergency procedures in simulated emergencies, while trying to navigate and eventually land all while using the correct verbiage, in word for word order with someone asking me unrelated questions about engine systems. I was unconcerned about what an MDEP or FAD was. To be honest, I didn’t know what an MDEP or a FAD was, I had never heard of it. Nor did I really care how the fuel in my tanks got there; other than the guy with a hose at the airfield we landed at for lunch. A swipe of the card and we were on our way, what a deal, I’m getting paid to spend Uncle Sam’s hard earned dollars. In today’s Sequestration Era, the term ‘resource management’ is tossed around without regard to what it really means. Many soldiers and civilians take it for granted that someone, somewhere, knows how to manage our financial resources. This skill does not come easy and the Army, especially to the Army National Guard, and the ARNG is quickly realizing that it is beyond just the Finance Corps or their local Comptroller to work this issue; trained and proactive Resource Managers are needed everywhere and now. After graduating flight school I found myself working as a Dual Status Military Technician, as a Budget Analyst with the National Guard. This simply means, I wore a uniform every day as a Department of the Army Civilian or DAC, but on weekends I was at drill in my military capacity, still wearing my uniform, or in this case flight suit. I was thrown into the world of Fiscal Law, 2060 and 2065 funds, MDEPS, FADS, DTS, MIPERS, etc. My budgets exceeded tens of millions of dollars and I had no formal training when I started. Oh by the way, I was still flying, drilling and going to Annual Training. Needless to say it was a huge job with huge responsibilities and potentially huge implications if I failed. I quickly learned that I needed training and I needed to apply some common sense. This was still during the Global War on Terrorism; a time where our budgets were large and plentiful. This was no excuse for misspending and being irresponsible with our funds, but we saw the end of the tunnel within sight. I heard the phrase, “but we’ve always done it this way”, as I began to change the way we spent and accounted for our funds. It was not popular, but it was necessary. Eventually, as predicted, funds began to dry up, however, we found ourselves ahead of the proverbial power curve in this new era of spending. Recently, it has become common news to see budgets being slashed, furloughs, etc. Pilots, like myself, are still serving as the fulltime person responsible for accounting for millions of dollars, not Finance Officers or NCOs. It’s these aviators, engineers, infantry and chemical personnel who are carrying on this mission to budget, execute, and account for the National Guard’s funds, with supervisors who are not within the United States Property and Finance Office or USPFO, but just as much lacking a military finance background. This is both a legitimate concern and a huge advantage. It is a concern, in the fact that these personnel are not official ‘money’ people or managers. How can the proverbial ‘blind’ lead the ‘blind’ successfully? However, it is an overall huge advantage because, finally, we have experts in their respective fields being forced to understand how the process works, govern their spending from within (knowing what is truly required versus nice to have), and having to fight for their dollars with the other experts, otherwise known as the PBAC process. Appropriate Planning, Programming, Budgeting, and Execution (PPBES) is the backbone for the annual execution of appropriated funds. As these Guardsmen move from job to job as they progress through the GS ranks they’re bringing that experience with them. Unlike our Active Duty brothers and sisters who have their finances and accounting mostly done for them via DFAS. Funding is tight and mission requirement is still at an all time high. We still must train, support homeland missions and still deploy. In other words, we must have Buck Rogers, no excuses, we are an organization that thrives on being ready at a moment’s notice. Having resident experts within each organization is a must have not a nice to have. Getting training for these personnel is even more critical. The Resource Management Training Center (RMTC) at the National Guard Professional Education Center (PEC) offers this critical training for all these personnel, not just Accountants and Budget Officers within one of the 54 State and Territory USPFO’s. The RMTC offers courses at PEC and via Mobile Training Teams (MTT) to support states and units on Fiscal Law, resource management, DTS administration and more. They teach the PBAC process and even role play these scenarios; giving significant advantage to the soldiers who partake in this training when they return to their units and directorates. When it comes to using GFEBS and DTS systems the RMTC courses give hands-on training, the reduction in headaches alone by using an internal resource to an organization that was trained at the RMTC will make that organization more efficient. Without these experts within each ‘field’, we cannot sustain our operations under these fiscal constraints, not spending like we have grown accustomed to. The quote, “No bucks…No Buck Rogers” rings true. We cannot send our soldiers to assist in flood and tornado recoveries, nor fight terrorism, if we frivolously spend “like we’ve always done”. The days of austerity, audit and stewardship are here to stay. Taxpayers are demanding accountability and we owe it to our states and ourselves to properly account for every dollar. Harnessing this training will poise your organizations for success and long-term operability. Having a trained, resident ‘expert’ will significantly help in understanding the budget process, fight for funding by executing wisely and administering their programs in a timely, legal, and audit ready manner. In other words, you will have “Buck Rogers” ability. PreviousToday is the last chance to vote on the Future of War!